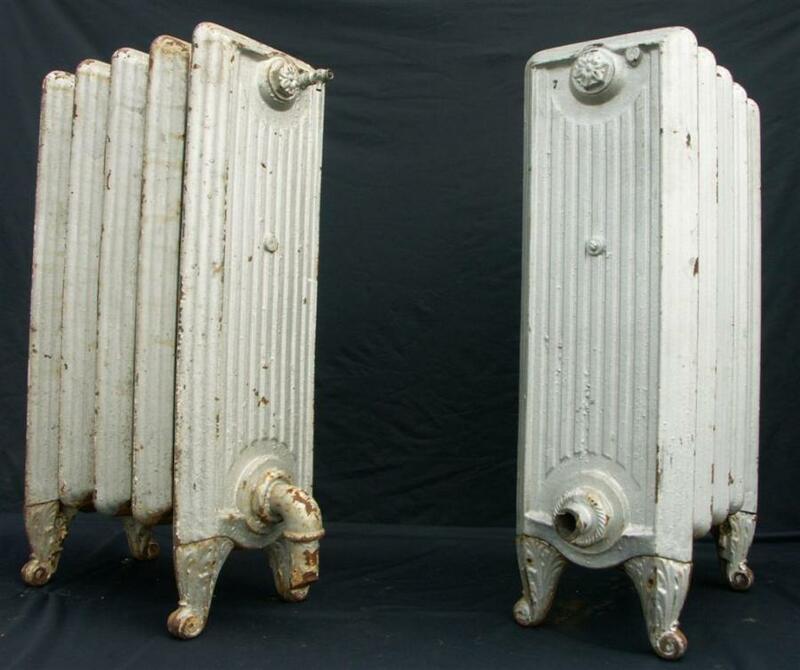 A wonderful set of early decorative english cast iron radiators.I believe these are made by Beeston and are over 100 years old.Very rare and stylish.Pictures show a set of 4-dimensions in inches:2 radiators are 13 wide bt 27.5 high and two are 16.26 by 27.5 high and all are 8.75 deep. 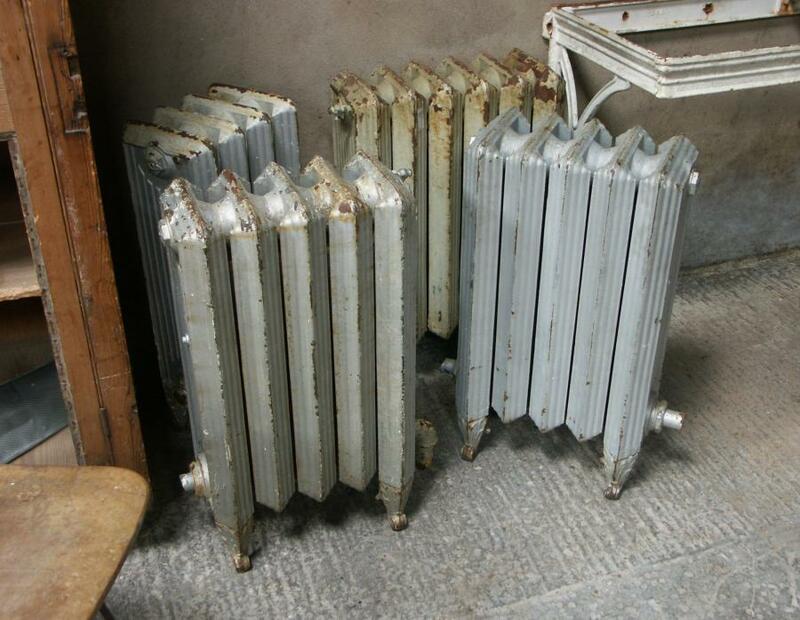 To be sold pressure tested and to customers specification. 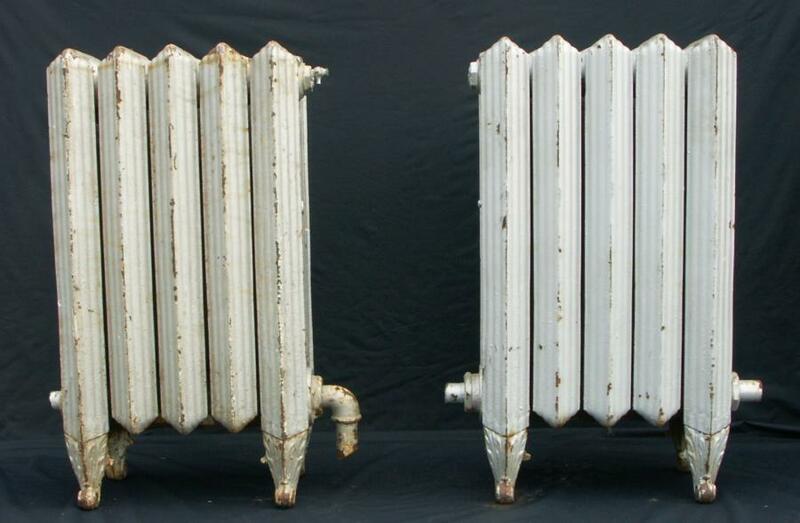 This pair SOLD but similar larger ones available I have a very large amount of cast iron radiators for sale from the standard types to the unusual and i am happy to work with customers to find a set that suits their requirements (size,type and heat outputs)and am able to restore them to whatever stage required including stripping old paint off,flushing and cleaning the insides,priming and painting.I can supply with the inlet and outlets in the preferred positions and with new bushes (threaded reducers for attaching valves and/or pipework)the correct size for the customers valves and pipework.I can also supply threaded bar,backplates and keeps to secure the radiator to the wall.I can also fit the reducing bushes for the customer if so wished so the plumber won't have to source bushes/parts or have any risk of overtightening and breaking the casting.Radiators can be shipped by pallet to the uk at a very reasonable price.I can customers choose their radiators and can send pictures and sizes by email and can discuss on the phone.When decided on the style/type and size i can send pictures of the actual radiators chosen if wished.Pressure testing is carried out after the radiators have been sandblasted and primed (and before as well sometimes)using professional equipment. 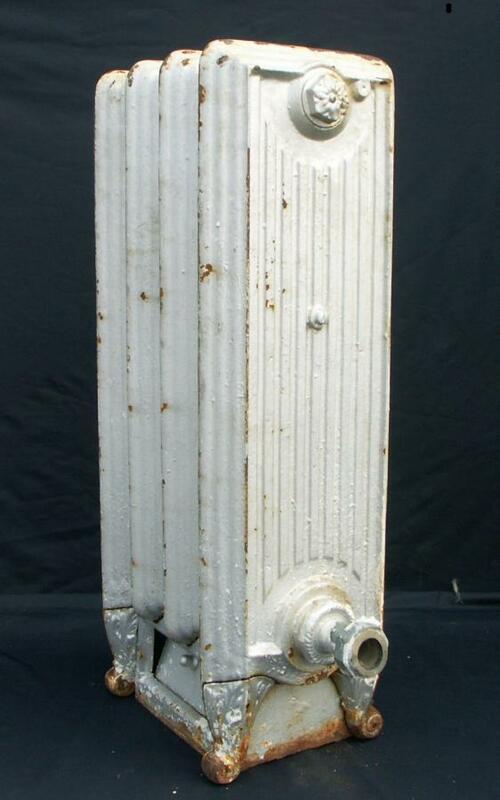 Please see other adverts on my website under "architectural metalwork" (showing a small selection)and also email me if you would like more information.